After discussing my NES palette capture pursuits with Brian Parker (RetroUSB) at PRGE 2016 I decided to revisit the sampling process of the paltest palette capture images. Instead of running multiple median filter passes to normalize the captured image for sampling, it was discussed to try taking an area of pixel values and averaging them. 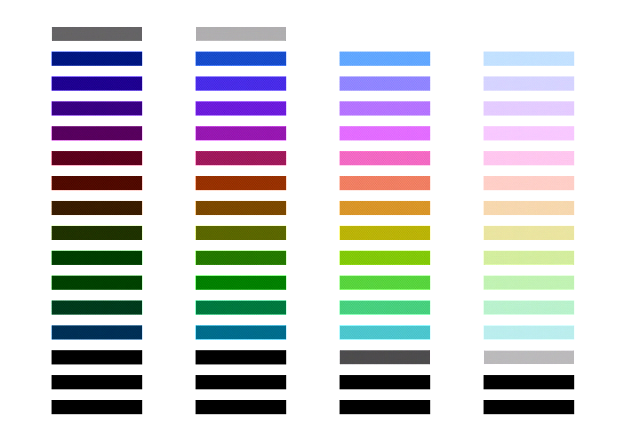 If you'd like to try my NESCAP palette, you can download it here. 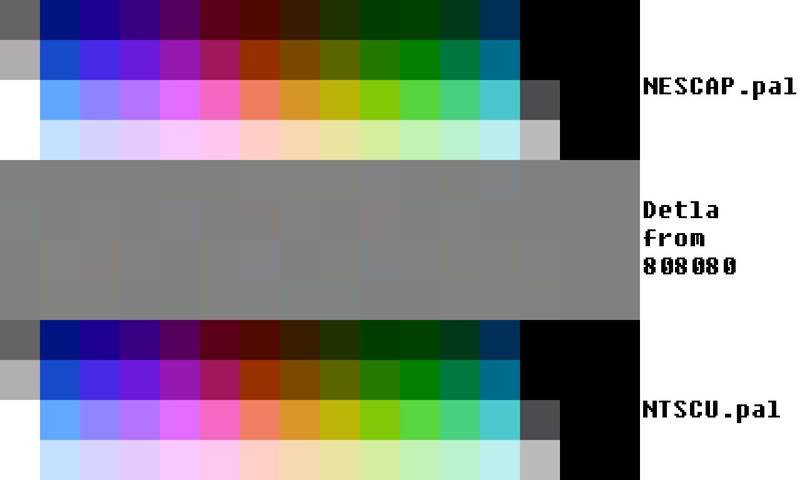 The following is a debug image that plots out the pixels I sampled for the average. This was useful for ensuring that I wasn't sampling erroneous data and/or sampling unintended colors. The resulting palette, NESCAP.pal, was within +/- 1% difference, so the original NTSCU.pal still is a valid palette to use, but there's always the nth degree of improvement to be made as seen below! A blog for my retro gaming hardware augmentation projects, custom cable building, and other electronics projects!